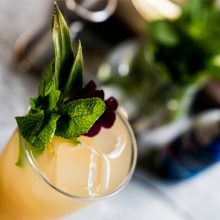 If you’ve spent a relaxed hour or two sipping expertly mixed drinks at your favourite cocktail bar recently, you’ll no doubt have been dazzled by a tempting array of options on the menu. 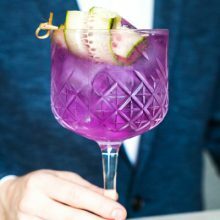 While there’s a huge trend for colourful cocktails, gone are the garish 80s-inspired neon-coloured tipples, and in their place are a new generation of sophisticated, subtly-coloured drinks that are delicious to the very last drop. 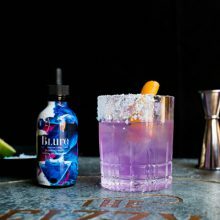 Incredibly popular at the moment, blue drinks usually require artificial colouring and ingredients to achieve their vibrant hue, but not so with b’Lure Colour Change Cocktail Concentrate. Each bottle contains the extract from over 130 hand-picked butterfly pea flowers, and just a few drops added to clear drinks will turn them a fabulous shade of blue. So far so impressive. 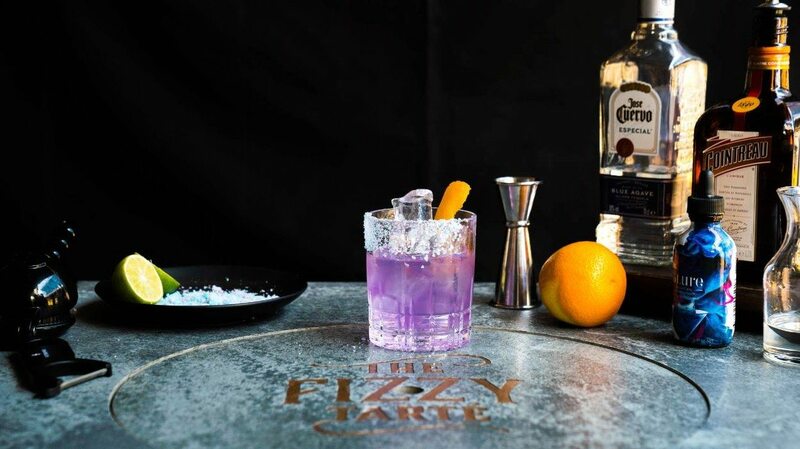 But that’s not the end of the magic – squeeze in lime or lemon, or add some tonic water, and your drink will slowly shift shades to fabulous tones of purple and pink. All this without affecting the taste of your drink – blue mojito, anyone? 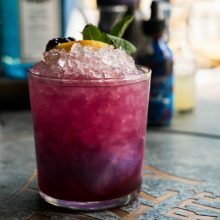 When it came to creating a round of inspired cocktail recipes using our exciting new drinks addition, we turned to our neighbours and expert mixologists at two of the Lake District’s most vibrant bar and dining venues, The Fizzy Tarté and BAHA. If there’s anyone who can help us create cocktails with WOW factor that can be recreated at home, it’s them. If you haven’t yet had the pleasure of visiting either of these exclusive venues, allow us to introduce you… With its inviting and friendly atmosphere, The Fizzy Tarté serves a luxurious range of Champagne, afternoon teas and cocktails in the heart of Bowness-On-Windermere, with patisserie treats and savoury eats designed to get your mouth watering. Just behind The Fizzy Tarté is BAHA, the area’s latest ‘Super Venue’. A place for families, locals and visitors to come together, its sophisticated city vibe, fabulous food, music, show-stopping spirits and classy cocktails make it the perfect place to sit back and relax. Next time you’re visiting our Windermere store and fancy making a day of it, it’s well worth nipping down the road and treating yourself – they’re destinations not to be missed! The bartending teams at The Fizzy Tarté and BAHA believe mixology is an art, and are passionate about creating unique and exciting concoctions. 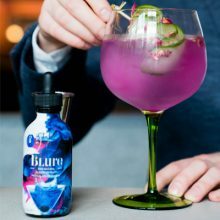 So when we gave them a bottle of b’Lure to experiment with, something magical happened… Read on to see the drinks they’ve created for you to try at home, packed with plenty of flavour, punch and colour changes. 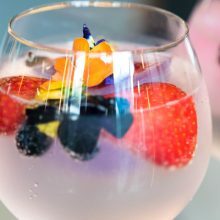 And don’t forget to watch the ‘how to’ videos – these mini mixology guides will inspire a thirst, as well as give you a glimpse of what’s on offer at BAHA and The Fizzy Tarté.